Before the Sport, Range Rover only had one model in its stable, and this much anticipated second line for the firm took the fight directly to the smaller and more agile BMW X5 and Porsche Cayenne. Before the Sport, Range Rover only had one model in its stable, and this much anticipated second line for the firm took the fight directly to the smaller and more agile BMW X5 and Porsche Cayenne. With a modified Discovery platform and subtle styling it soon became a big hit, selling incredibly well around the world. However, the engine range is limited, and values are relatively strong so if your budget is tight finding the right example may take you some time. 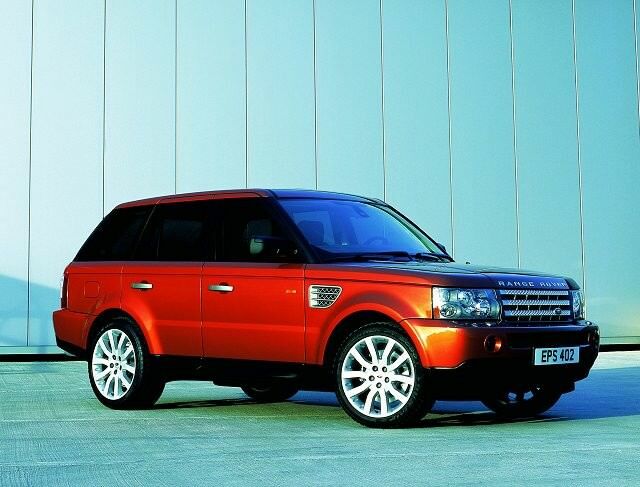 Despite being shown as a three-door concept in 2004, the production Range Rover Sport was only ever available as a five-door. It’s not quite as practical as the full size Range Rover, the sloping tailgate eating into the total boot space, but there’s still plenty of room for five people and their luggage. Of course, you don’t buy a Range Rover Sport with your head; it’s a decision of the heart. But while a range of V8 petrol engines (some supercharged) have been available, it’s the diesels that make most sense. The 2.7- and 3.0-litre V6 units still offer decent performance, but can achieve between 10 and 8.5 litres/100km. As with other Range Rover products there’s a limited choice of standard trim levels, starting with SE, rising through HSE and ending with Autobiography. The latter can be fully customised, so if you find a used example pay attention to just what has been fitted to that car - often the list of extras is incredible. There’s never been a manual gearbox available, so all models regardless of engine come with a six-speed automatic transmission. A facelift in 2010 only brought about subtle changes to the exterior, but inside the differences were more comprehensive with better quality and design - if you can stretch to one its worth the extra money. First up you’ll need a diesel - the petrol models are both cripplingly expensive to run, and incredibly rare on the used market. The early 2.7 TDV6 engine isn’t as refined or punchy as the later 3.0-litre unit so if you can find a later car then even better - especially thanks to an improvement in economy and emissions as well. Even the SE spec is well kitted out, but the HSE is worth searching for, if just to make it easier to sell on when the time comes. As an all-rounder the Range Rover Sport is hard to beat, even if the Land Rover Discovery is better off road and a Porsche Cayenne better on it. There’s loads of heritage as well, and despite the rather new-money image it definitely suits younger customers more than the full-fat Range Rover. The diesel engines offer a decent compromise between pace and efficiency, and there are few more aspirational 4x4s available.